(Above) Approach on the main Coire Ardair track today on relatively dry, cold snow. All change overnight tonight when the freezing level will rise to 1600m + some rain. Very pleasant in the sunshine, though it only lasted a few hours before high cloud rolled in from the west. 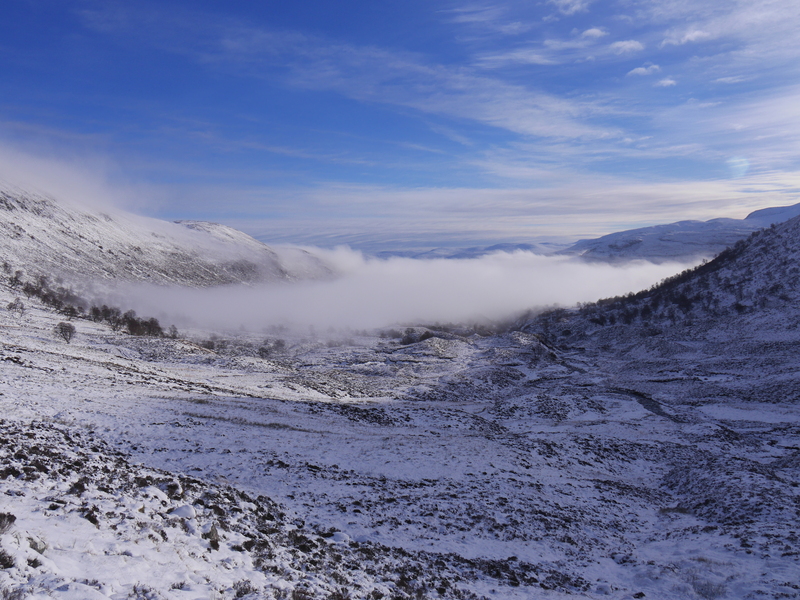 (Above) A bit of a temperature inversion during the morning but the low mist soon receded back down the glen to Loch Laggan. 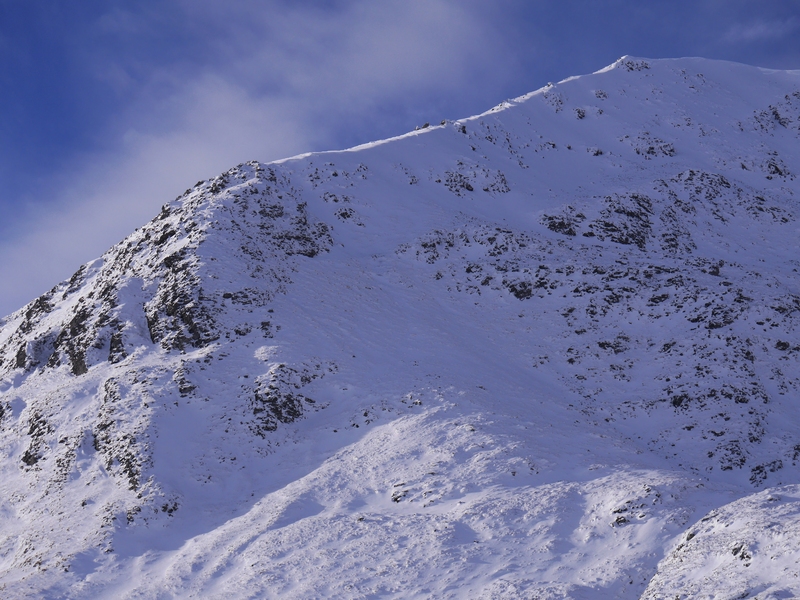 (Above) The SW shoulder of Coire Chriochairein has an E-facing aspect (seen here) which is normally loaded with deep snow and often corniced. There is some windslab there but only in the 10-15 metres below the skyline. As you can see, there is also a lot of exposed rock. (Above) The rocky boss in Coire Chriochairein: SE facing. Cornices haven’t been much of a thing so far this winter. 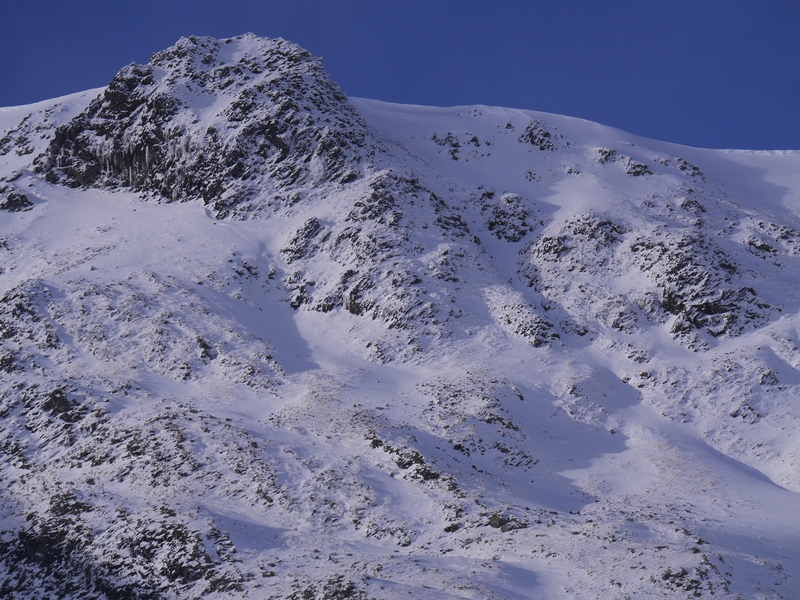 There are one or two very minor cornices in the coire which started to shed a few chunks when exposed to sunlight. (Above) A view across to Pinnacle Buttress and the Post Face of Coire Ardair. Very little snow indeed in both Raeburn’s and Easy Gully. Ice does seem to be building but that will receive a bit of a setback during the overnight thaw. 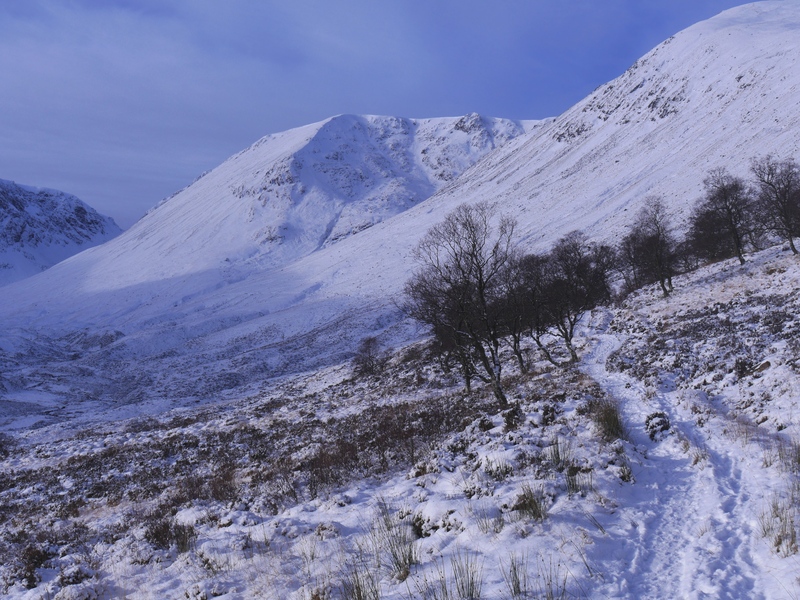 I was hoping to climb Raeburn’s Gully on Sunday but if there isn’t more snow it looks a bit thin and treacherous. However I’ve never been to Meggie before and saw this route for the first time in the ‘Scottish Winter Mountains with One Axe’ book. Would it be suitable for a ‘one ice axe, crampons and helmet’ solo approach (my current standard) or should I wait for better conditions? Wait for better conditions, Chris. It’s desperately narrow at the moment and incomplete in a few places. 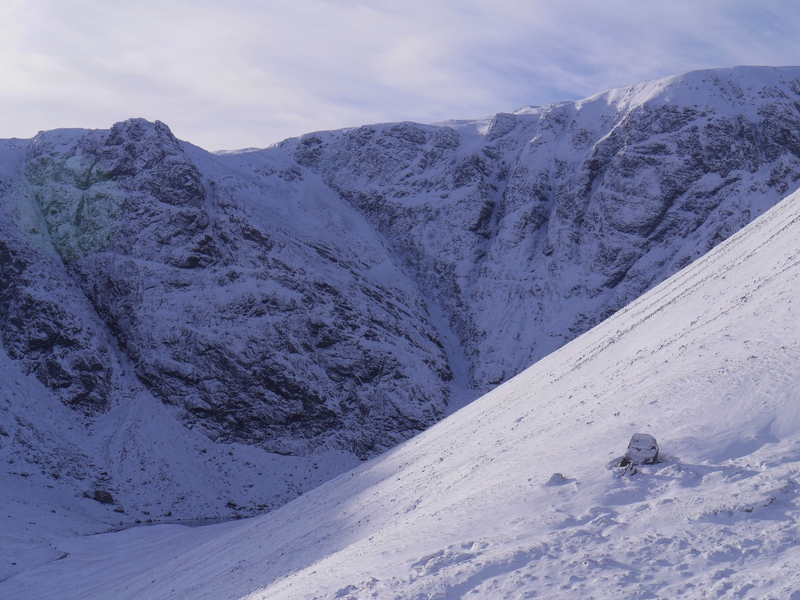 We need much more snow then a few melt/freeze cycles to give the conditions you seek for a one axe and crampons outing in Raeburn’s….or any other of our low grade gullies for that matter.